PORTLAND, Ore – The growing initiative known as the Oregon Brewshed® Alliance, a coalition of the brewing community and conservationists advocating for forest watershed protection, now has its very own website. Oregon Wild established the Oregon Brewshed® Alliance with seven Oregon brewery partners in April 2015, and in under a year the coalition has hosted or participated in 27 events statewide, raised over $16,000 to support watershed education and conservation, and expanded to 22 total partners across Oregon. Alliance news, information, and events have, until now, been showcased on Oregon Wild’s website, through partner sites, social media, and word-of-mouth. Thanks to support from Widmer Brothers Brewing, a charter Alliance member, the Oregon Brewshed® Alliance’s new online home (oregonbrewshedalliance.org) will be the go-to place for people to connect with Alliance partners and their efforts. The site was designed by the local team at WEINLANDcreative, and allows users to find Oregon Brewshed® Alliance partners and upcoming events, learn more about the brewshed® (aka watershed) in their local communities, and find out how to get involved as a business or volunteer. The site also gives Brewshed® Alliance partners the ability to highlight their own events and showcase their efforts in conservation and sustainability. 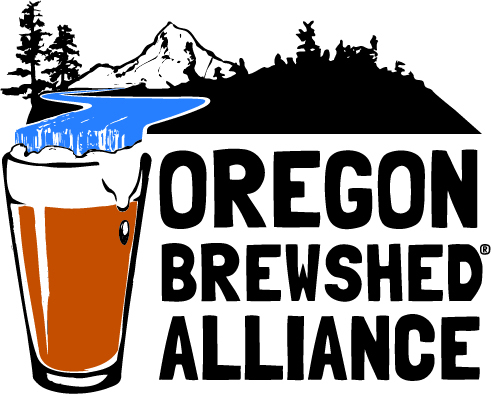 The Oregon Brewshed® Alliance is a coalition of breweries, conservationists, and brewing community partners advocating for the protection of forest watersheds through public education, outreach, and events. For more information, visit oregonbrewshedalliance.org. Founded in 1974, Oregon Wild works to protect and restore Oregon’s wildlands, wildlife, and waters as an enduring legacy for future generations. Find out more at oregonwild.org.